While Android is the leader in mobile gambling apps, Apple is steadily catching up. When the iPhone 6 is released it could turn the tables and have a major impact on the mobile gambling industry. While not many details are known about the iPhone 6, it seems that the device will be perfect for mobile gambling. Mobile gambling continues to grow in popularity and there are increasingly more high-quality games available for mobile devices. While Google doesn’t list real-money casino apps in the Play Store, Apple does in its App Store. As a result it is not surprising that Apple users tend to bet more than Android users. 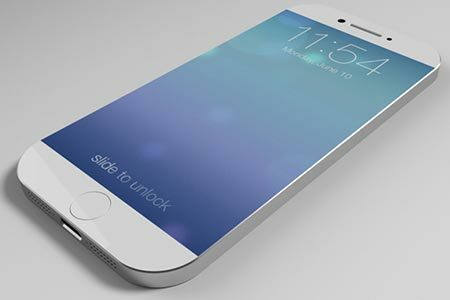 While not many details are known about the iPhone 6, it seems like it will be a great device for gamblers. For a start the display is expected to be bigger but the device itself will be roughly the same size as the current model. Secondly, the new model is rumored to have a much better touch screen. It should be more responsive and also offer better quality graphics. Furthermore, the iPhone 6 will have “Touch ID”, a fingerprint system that will help protect gamblers against theft. These three features will make it a fantastic device for mobile gambling. Players can expect a faster, more secure and all round more enjoyable gambling experience when the phone hits the market.